While maintenance is key, sometimes an air conditioning and heating system needs to be replaced. 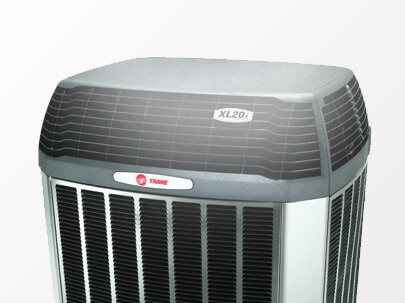 LIBERTYAIR sells and installs AC units from a variety of top-name manufacturers. Before installing a unit in your home or office, we will inspect the building and determine what type of unit would be ideal for the space. LIBERTYAIR technicians are senior level. We have more than 65 years combined experience between our senior service technicians, including our expert installers. A good unit, priced lower than the others; this unit is typically less durable, but is ideal for rental properties. A mid-range unit, which is better than the AC unit listed under Option #1; the unit is more expensive, but it will save you money on your electric bill. A high-end unit; this is the most expensive equipment, but it also is the most efficient and will pay for itself in three to seven years. Whatever unit you choose for your home or office, know that a LIBERTYAIR air conditioning installation specialist will install it with precision, attention to detail and utmost professionalism. Prices for residential units are discounted and can include up to $4,000 in rebates. LIBERTYAIR also offers special financing with approved credit on all residential unit installations. Commercial units do not qualify for discounts or financing. All parts and services on units installed by LIBERTYAIR are 100% under warranty for one year. Plus, both residential and commercial unit parts are under warranty for 10 years following installation. LIBERTYAIR will even perform all warranty work on all brands, even if another company installed your unit. After all, if you’re calling us, then it’s probably because you’ve had a bad experience with another company. Don’t sweat it. If there’s a problem, we’ll fix it. *We provide free estimates on new system installations only. Additionally, we will also provide a free second opinion.